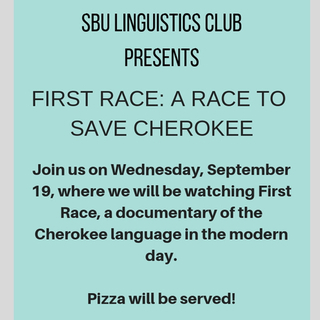 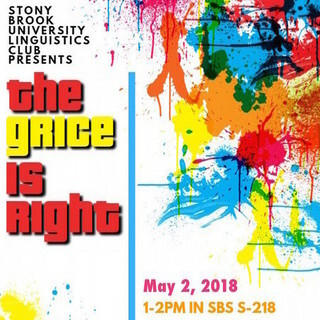 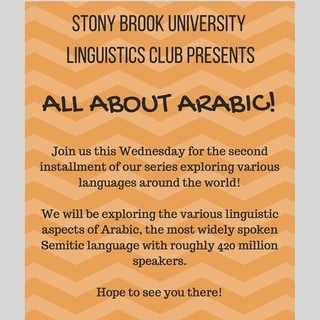 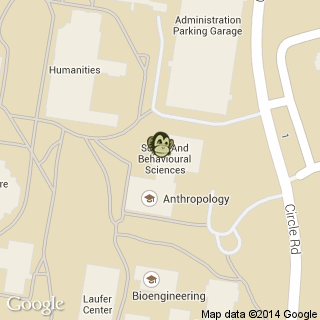 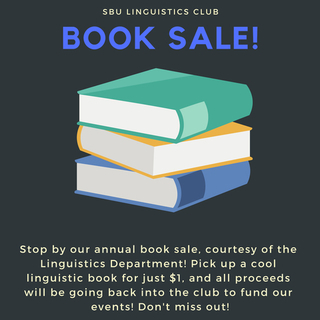 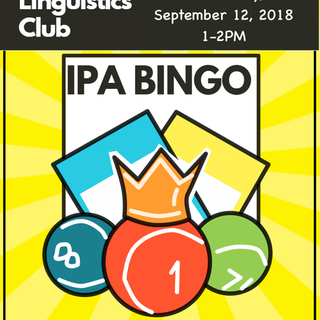 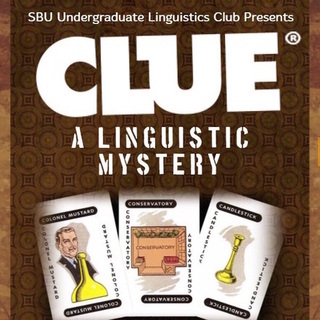 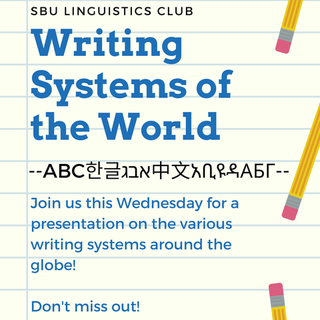 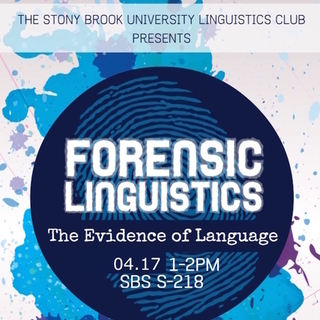 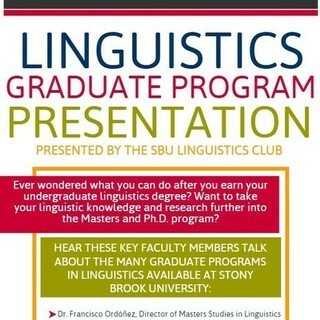 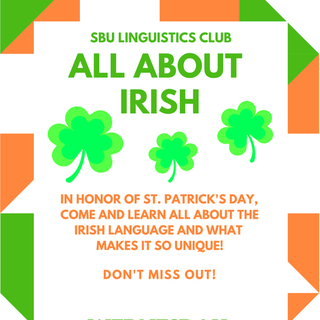 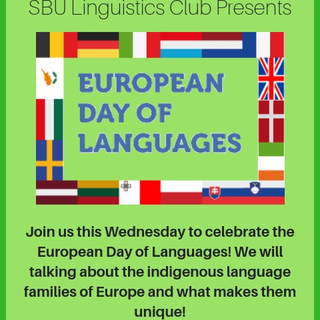 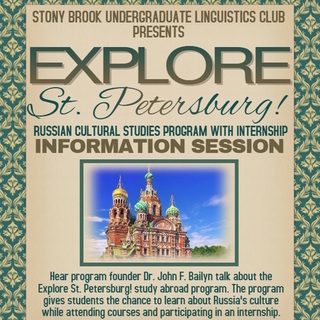 The Stony Brook Undergraduate Linguistics Club is open to any student of Stony Brook University who is interested in the Linguistics field. 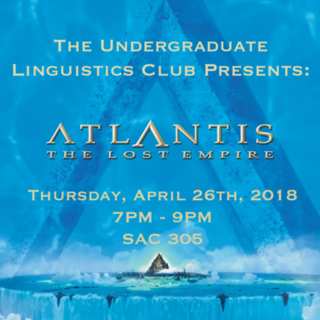 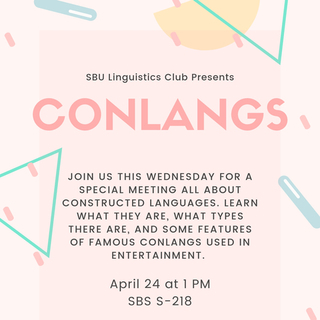 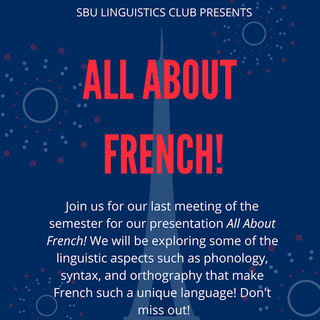 We organize activities related to the field of Linguistics, which include guest speakers, documentary screenings, games, off-campus trips, and much more. 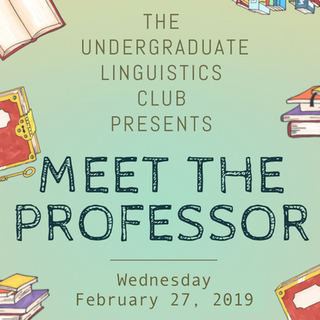 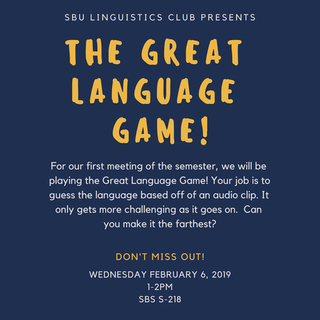 We offer a space for students to make new friends, meet the Linguistics faculty, and learn about the many applications of linguistic study, within academia and beyond.